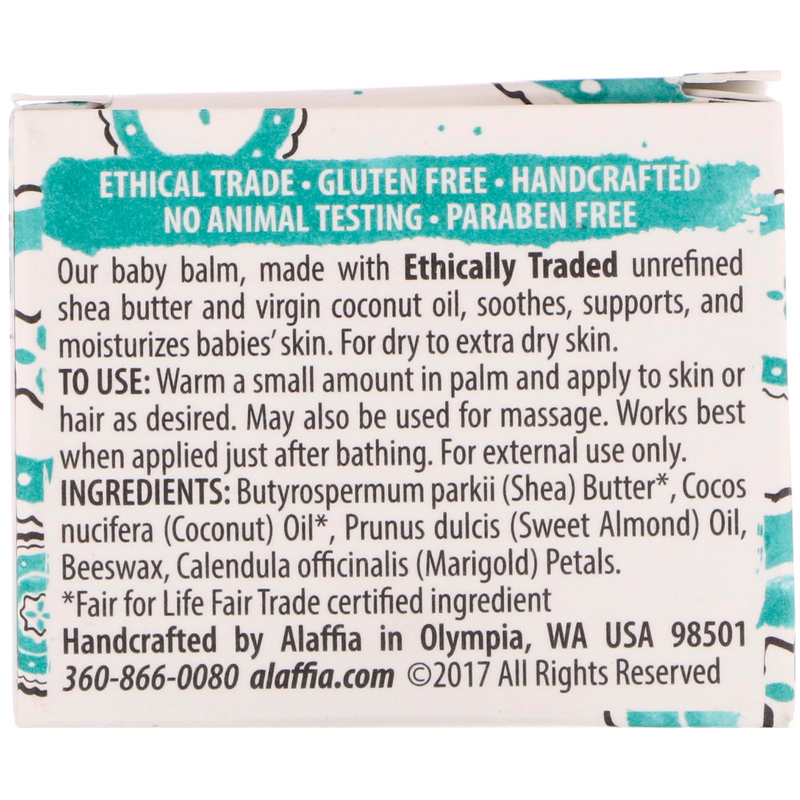 Our baby balm, made with Ethically Traded unrefined shea butter and virgin coconut oil, soothes, supports, and moisturizes babies' skin. For dry to extra dry skin. Warm a small amount in palm and apply to skin or hair as desired. May also be used for massage. Works best when applied just after bathing. Butyrospermum parkii (shea) butter*, cocos nucifera (coconut) oil*, prunus dulcis (sweet almond) oil, beeswax, calendula officinalis (marigold) petals.